Video Tutorial: Ajax jQuery Slider! Learn more about how to create jQuery Sliders without struggling with code! 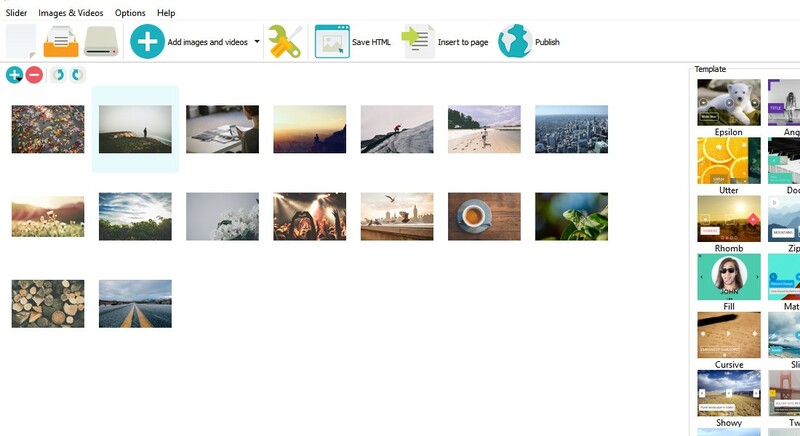 Here you can watch the jQuery Gallery sliding on the page! 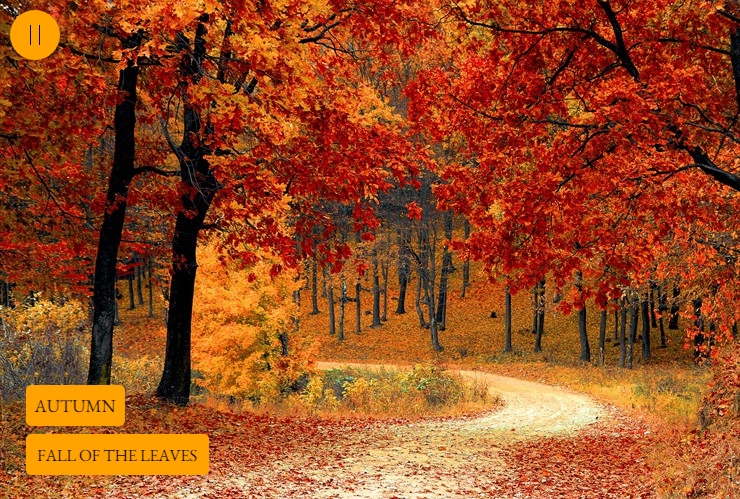 This slideshow has a plain transparent frame which looks good on different backgrounds. Arrows consist of black transparent rectangles with rounded borders and white arrows inside. Bullets are situated at the upper-right corner and it looks like small black dots. Navigation bullet can also change its color to white when you select it. The description uses the same style as arrows: white caption and a black transparent rectangle as a background. The font of the writing is Tahoma. 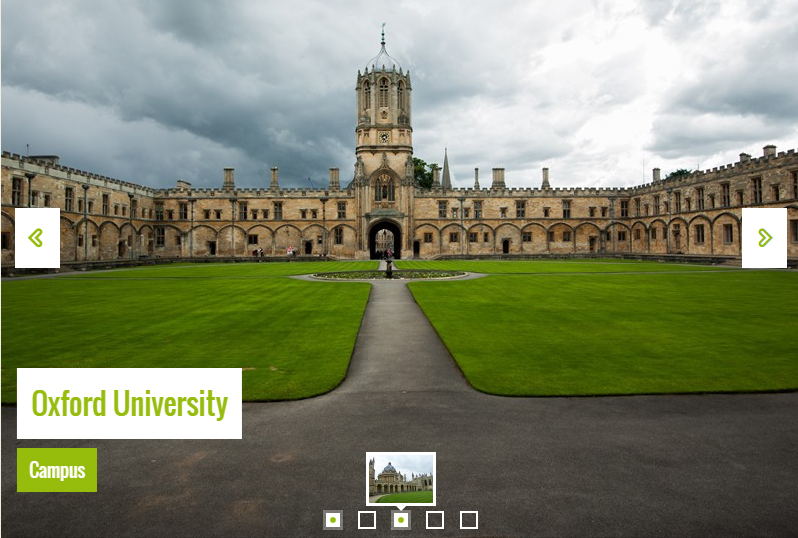 WOWSlider gives users the options to change effects and provides a wide range of transitions and effects which can be added to the image slides. Users can check out the demos on WOWSlider's official webpage and see for themselves what this amazing image slider has to offer. 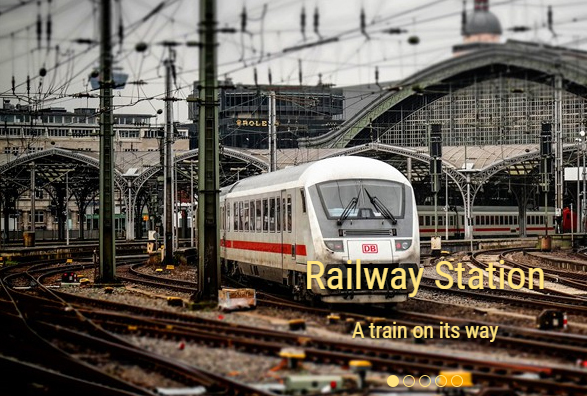 Select a demo slide, and see how the text and images appear as per the effects added to them. If you want to change the transition styles, slide speed or even the effects added to them, it's as easy as ABC with WOWSlider. When you need something to add the WOW factor to your html slides, there isn't anything better yet available anywhere other than WOWSlider. WOWSlider is a highly customizable image slider which users can easily customize to suit their website design and its requirements. 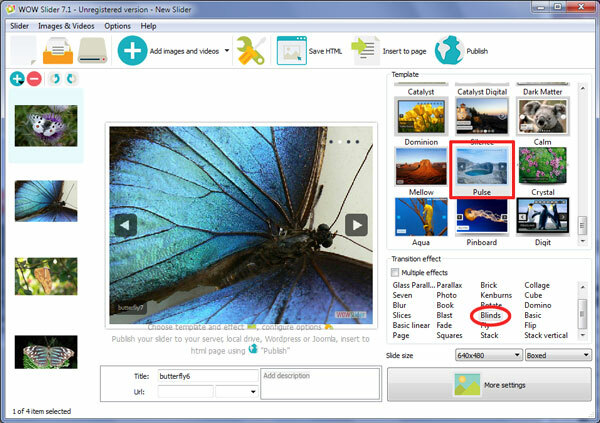 It offers easy to use features like; the navigation control (it contains thumbnails for actions required to view prev/next images, stop/play buttons, filmstrips and also bullets). WOWSlider also has features for loop play, auto play, random order play, text descriptions, controls hide/show on mouse click or movements, image size and thumbnail options, cropping mode, transition speed control, slide delay, watermark addition and much much more. Is there a limit to the number of photos in WowSlider? I want to put more than 100 photos in a slide show, but can not make customizations to the settings. I like no matter what setting change he closes the program. If your app stops, perhaps there are too add too many images in a slideshow. If that's right, go to "Options" and uncheck "Show preview". Restart the app, then it will work more stable. Is it possible to use wowslider to create a slider like this: when you hover over one of the services, you can see a color box became bigger and link to the relative article. May I ask how to add URL? I mean when someone click the slider, it will link to relate webpage. Please, select the image and enter the link to "URL" field. Is it possible to create a video use some phones or jpg images? How? Unfortunately WOWSlider doesn't support making video, it can only create slider with some sound effects. I bought twice wowslider and I never used it with the license for internet because when I bought premium templates were delivered with slider revolution which is much more professional; Today I will wish to use one of my two wowslider to integrate my own watermark, can you tell me where I should put my license key, I forgot, or me in a revoyer last I have enough wowslider not need two. Unfortunately, your WowSlider license is out of date now and a free upgrade period is over for you, you can renew your license or continue to use the version of WowSlider you received as the last free upgrade as long as you need it. when I try to open my previous project with a .wowsl extension, I don’t see any images in the work area. Project files don't contain pictures, they contain only paths to files, and if they aren't valid now, your pictures cannot be shown. Open your project file in a text editor and make sure that the paths are valid. If your app stops working, it possible means that you're attempting to add many items to a slider. If it is, uncheck "Show preview" in the Options tab. Re-launch the app, it will work stable then. Sorry for the inconvenience, you can't share your slider on Facebook. We'll try to fix this issue later. 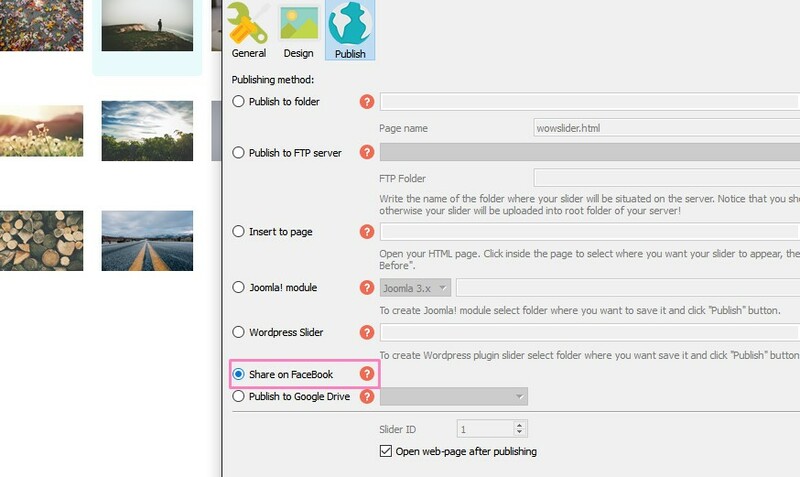 You can publish your slider to Google Drive and share the link. Please remember that your project doesn't contain files, it stores the paths to them, if your files are not available or lost, they won't be seen. 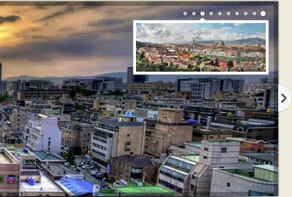 You should download the full version of WOWSlider. The free version of WowSlicer can't be registered. Hi, I recently purchased and registered your Wow Slider product. I am not able to make slider work on my Google Sites web page. Can you provide help on a step by step solution for me so I can figure out what I am doing wrong? I tried following steps on your web site but no success. I found the relevant order of 20 March 2013 ... Can I use it with version 8.6? Unfortunately your free update period has expired. I'm testing WowSlider for my site and I think it is going to work for me and I want to purchase the licensed edition but I'm having some trouble. I'm using the Google Drive tutorial http://wowslider.com/help/add-slider-google-drive-183.html And when I click Publish I'm getting an error message that says"Authorization Error. Network Reply Error: SSL Handshake Failed". Am I missing a step? Try to use another google drive account. If you are browsing on an encrypted connection (https://), browser checks to ensure that all parts of the site are encrypted. If browser detects that any live elements of the page, for example scripts, plugins, or frames, are being served by an open connection (http://), it will block the insecure content. This means parts of the page may not display properly. So you need to locate your slide to secure zone. You can do it by publishing the slider to Google Drive. Just publish it to Google Drive, copy the script and paste it to html like an iframe. Please write back to us if you have any further questions or concerns. Our team is always happy to help.